The genealogical list in Chapter 5, is titled the "Book of the Generations of Adam." This is not a list of all his posterity, but only of his decedents through the lineage of Seth. This is called the "royal" line because the decedents of Seth believed and followed God. Through them God's promise of the coming Messiah, the Lord Jesus Christ, would be accomplished. The Gospel of Luke, Christ's genealogy begins with Adam and Seth. (Luke 3:23-38) The posterity of Cain, Adam's son who rejected God is not included here. Eve named the third son Seth, which she explained meant, "For God has appointed another seed instead of Abel, who Cain shew." 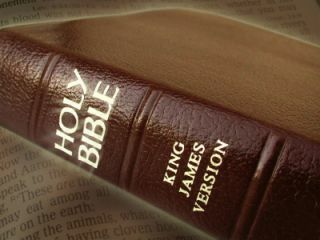 (Gen. 4:25) Abel believed and followed the Lord. Until the birth of Seth, Cain and his children did not trust God. Genesis 4:26, states that after the birth of Seth men began to call on the name of God again. In verse one, the genealogy is stated as being, "the book of the generations of Adam." The word "book" means this was a written record. Moses, Jesus said was the writer of the Book of Genesis. (Luke 24:27,44) This indicates Moses had the advantage of having written records of the early events of Creation. Modern, so called science, influenced by the teachings of evolution says that early man could not write. There is no reason not to believe that this was not a written record. The "book" was probably added to after each subsequent generation was born. Again God states in these verses that He created man and in His likeness. This likeness or "image" (Genesis 1:27) meaning they were like God having a will, intelligence and emotion. God states absolutely that He created them and they were created male and female. This contradicts the theistic evolutionist who seeks to combine evolution and the Bible stating God used evolution to create man. This God states man began as a complete man and woman. This total precludes any room for them "evolving." God says He "blessed" them, meaning he showed them favor. God expresses His purpose in that even when man was rejecting God, He still had man's best interests at heart. God has always sought to forgive and reconciled man to Himself. The word "created" is the word, "bara" meaning to create absolutely or out of nothing. When Adam was one hundred and thirty years old he fathered a son he called Seth. The Bible says Seth was born in the "likeness" of his father. Man, created in the "likeness" of God, was not sinful. (Genesis 1:26) However, the sons born to Adam after he sinned, inherited his sinful nature. Seth, and all the posterity of Adam, is born under the curse of sin. Roman's 5:18, "Therefore as by the offense of one [referring to the Adam] judgment came upon all men to condemnation." Seth was born a sinner in the likeness of his father who had become a sinner and thus had purged the race of man into sin. The Bible states Adam and Eve had other sons and daughters but does not name them. Only given is the genealogy of Seth because from his line would come the Lord Jesus. Adam lived another eight hundred years after the birth of Seth making him nine hundred and thirty years old at his death. His long life and those of the patriarchs who lived before Noah is probably due to the effects of the vapor canopy that was over the earth. (See pages 7-8 of this commentary) With the harmful effects of the sun lessened and a better environment man lived longer. See Figure 1. The chart showing the overlapping of the lives of those who lived before the Flood. The Bible gives the names of the patriarchs with the actual year of their birth and death. This record does not allow for more than 1656 years from Creation to the Great Flood, because the chronology overlaps. Thus, again the literal Biblical account cannot be correlated with any form of evolution. Noted is the death of each patriarch except Enoch. In Genesis 5:24, it says "he walked with God and was not." His death recorded. In Hebrews 11:5, the New Testament says that Enoch was "translated." Literally it means to "transport, change sides or remove." God took Enoch to heaven and Enoch never saw death. Clearly his "walking" with the Lord, was the basis of God taking him to be with Him. Enoch's character is seen in references to him in Hebrews 11:5, and Jude 14. Enoch was a man of faith who trusted God. His trust for the Lord was manifested by his godly life. Enoch was also a preacher of righteousness and warned the wicked men of his day of God's coming judgment. (Jude 14-15) The Jude passage also sheds some light on amount of knowledge the men of his day had of future prophetic events. This reference, as Morris points out, clearly is a reference to the Second Coming of Christ at the end of the Tribulation. (2) The only way they would have known was if God had told them. It appears they knew a lot about the coming Messiah. Methuselah's son Lamech had a son named Noah. The Bible gives the meaning of his name as "He shall bring comfort to us in our work and toil because of the curse God placed on the ground." Lamech must have believed the warning concerning the coming judgment. Lamech, in naming Noah, recognized that God would preserve man through Noah. Lamech begat other sons and daughters. They perished in the Flood although their father and brother, Noah, believed God they did not. Clearly, many from the line of Seth rejected God and died when the judgment came. The chapter closes with the record of Shem, Ham and Japheth, the three sons of Noah, who with their wives were saved in the Ark in the Great Flood. Shem lived 75 years after Abraham entered Canaan. There is no record of the death of Ham and Japheth.